Hi everyone and welcome to our new look website! Paula at Gusto Marketing has given our website a complete facelift and what a fantastic job she has done. A new and easy to follow lay out, complete with available wines with their own tasting notes, traditional data about the family and a new order form all complement this new and exciting website. As often as possible we will be bringing you some news either on our wines, our vineyards and even our distributors and stockists. We have provided you with as much info as we can with contacts, location, email and phone numbers. If you wish to know something and can’t find it on the website just give one of us a call and we will endeavour to help you out. If you are visiting our region and would like to catch up for a chat and a tasting, then give Damian a call on 0413 484 078. If he is available, he is only too happy to oblige as we don’t have a cellar door. Eftpos facilities are available in the office at the barrel shed. 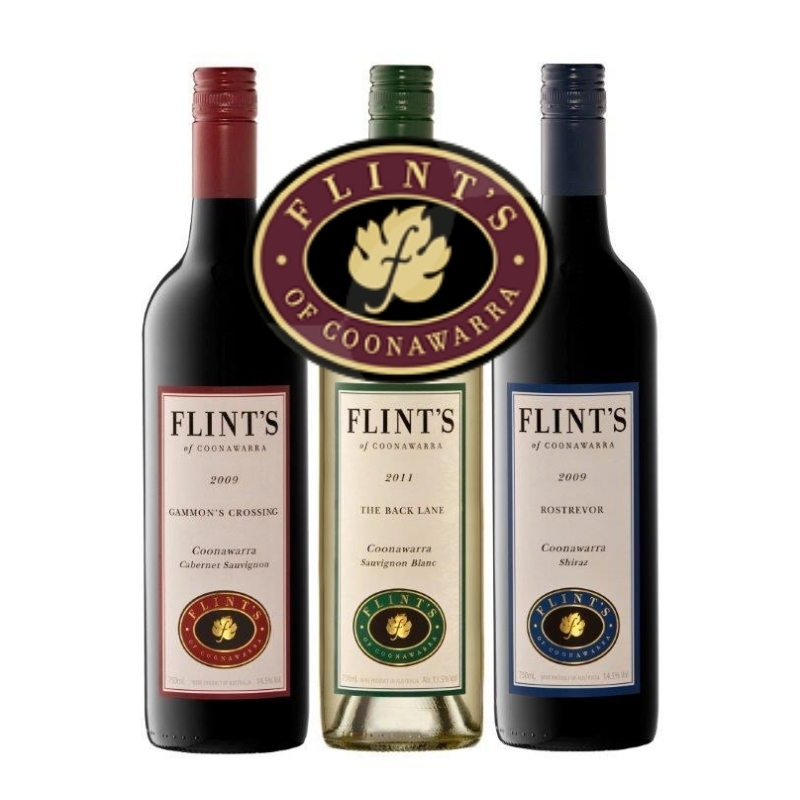 So take some time to check out our new release 2015 wines and stay tuned over the next few weeks to catch up on some exciting specials and where you can purchase your Flint’s of Coonawarra wines.